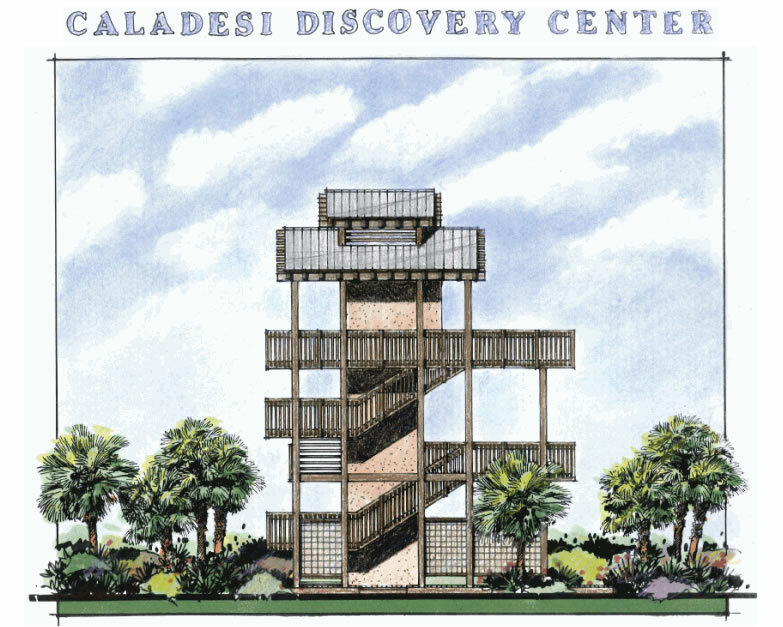 The Caladesi Discovery Center (CDC) will be an open air, ADA compliant, interpretive facility rising from the old observation tower site at Caladesi Island State Park. An observation deck at a height of approximately 25 feet above ground level will provide visitors a panoramic view of this undeveloped barrier island. In addition to offering a magnificent bird’s eye view of the topography and plant communities of one of the last undeveloped barrier islands on Florida’s Gulf Coast, the CDC will provide hands-on exhibits where park guests will be able to investigate aspects of Caladesi’s history, habitat and wildlife. During 2013 over $200,000 has been earmarked towards a goal of $600,000 for construction of the building. Individual donations are accepted through Friends of the Island Parks. Copyright 2015 Caladesi Island Ferry | All Rights Reserved | Website Design by SJS Associates, Inc.